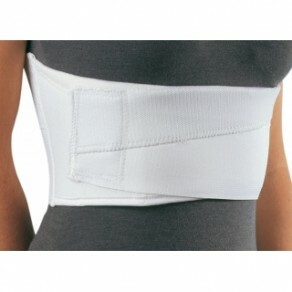 Two panel design helps provide support to ribs. Loop and lock closures make application and removal easy. Female style features breast contour. Washable.